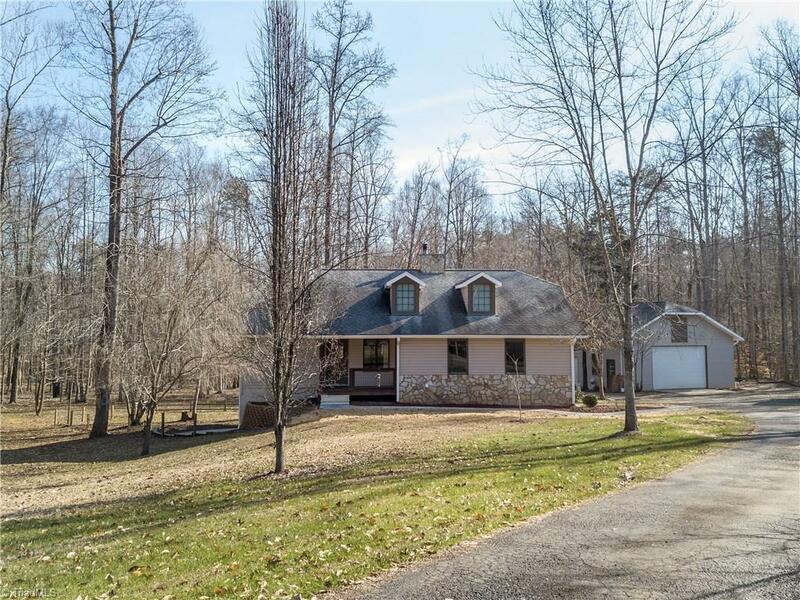 Custom-built energy efficient home sitting on 3.5 acres. Private backyard backs up to a creek. Neutral paint throughout. Huge master suite w/ newly updated bathroom. Vaulted ceilings & wood beams in the living room. Living room over looks the amazing view of the backyard. Basement is ready to be finished; all electrical & plumbing is already finished! Large screened in porch is has beautiful vaulted ceilings with a custom chevron cedar design. HUGE 2 story 1800sqft detached garage w/ a full bath!